BBC NEWS | UK | What is thallium? Thallium, the substance which has poisoned ex-KGB agent Alexander Litvinenko in London, is a highly-toxic heavy metal. Although it used to be commonly found in rat poisons and insecticides, since the 1970s authorities in many countries have strictly controlled its sale because of its toxic qualities. The salts of thallium are colourless, odourless, tasteless and soluble in water. If they get into the body, they attack the nervous system and internal organs. They also cause hair loss, vomiting, and diarrhoea. The early symptoms of poisoning are often confused with many viral diseases including influenza, delaying its detection. Within three days of being poisoned, victims can suffer headaches, muscle problems, convulsions, coma, delirium, dementia and even psychosis. A dose as small as one gram can lead to death. Earlier this year, a 17-year-old Japanese schoolgirl was sent to reform school after poisoning her mother with thallium in her tea, and keeping a blog diary of her worsening condition. She also poisoned small animals and placed them in formaldehyde in her room in Japan's Shizuoka prefecture. 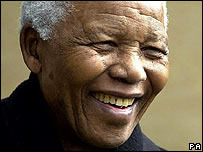 It is claimed that South African agents once plotted to use it against Nelson Mandela while he was in prison on Robben Island. The South African Truth Commission heard how agents established plans to add doses of the chemical to his medication. In 1953, Australian Caroline Grills was sentenced to life in prison after three family members and a close family friend died. Authorities found thallium in tea that she had given to two additional family members. And in 2004, at least 25 Russian soldiers were treated for thallium poisoning after finding a powdery substance in a can at a dump near their base in Khabarovsk. The conscripts, unaware of the danger, added it to the tobacco they smoked and used it as talcum powder on their feet. But thallium is also a chemical which features in our everyday lives. Its derivatives are used in many objects, from medical scans, electronic components and optical lenses to imitation jewellery, low temperature thermometers, and green-coloured fireworks. Expert toxicologist Professor John Henry warned that the Russian dissident Mr Litvinenko may have been poisoned by "radioactive thallium", which would now be difficult to trace as it degrades rapidly. Prof Henry said this was among several possibilities would could account for unexpected symptoms, including that his immune system was badly impaired. However, he said on Tuesday, "at this stage radioactive thallium seems the most likely cause". David Coggon, Professor of Occupational and Environmental Medicine at Southampton University, said the "chemical toxicity" would be no different for radioactive compared to non-radioactive thallium. However, the former "would pose an additional hazard from its radioactivity". "The nature and risk of adverse effects from radioactivity will depend on where the thallium gets to in the body, in what quantities, how long it stays there, and what type of radiation is produced," he said. Radioactive thallium is widely used as a "tracer" substance in medicine, especially for investigating heart disease. Thallium-201 is the atomic form, or isotope, often seen in hospitals. It emits gamma rays, a high energy form of light detected by a special camera. Injected into the bloodstream, it can tell doctors if a patient's heart muscle is receiving enough blood and oxygen. British Heart Foundation medical director Professor Peter Weissberg said: "The amount of thallium used in diagnostic cardiovascular medicine is safe and people who are awaiting a thallium scan of their heart should not be alarmed. "The benefits of carrying out a thallium scan, in patients with suspected cardiac disease, far outweigh the risks of having a small amount of thallium in the bloodstream."